Commuters in southeast Houston have another transportation option thanks to a new bus route. 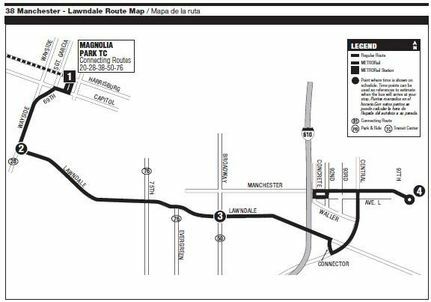 Scheduled to begin service on Sunday, July 3, the 38 Manchester/Lawndale will help riders reach the Magnolia Park Transit Center from as far as the Manchester Docks. "This route is a terrific example of METRO's partnership with the communities we serve. Members of the Manchester community met with METRO staff and provided excellent suggestions. We are excited to now be able to implement those ideas with the new 38," said Carrin Patman, METRO Board Chair. Once the Green Line extension to Magnolia Park Transit Center is completed, Route 38 riders will be able to hop on METRORail and continue their journeys into downtown. The route is part of a pilot program.